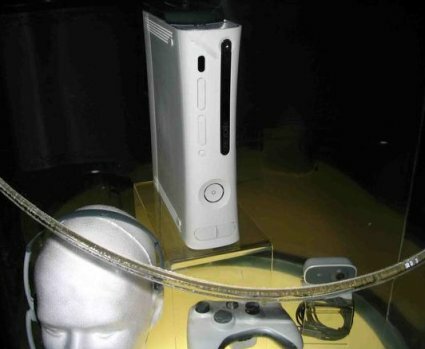 Somehow Microsoft thought that they could tape their unveiling of the Xbox 360 and not have at least one person disregard the NDA and leak out pictures anyway. Sure enough, someone snapped a picture on their phone and it shows that the design that leaked last month was, in fact, the real deal. It also offers the first glimpses of the new controller, headset, and some kind of webcam thingy.